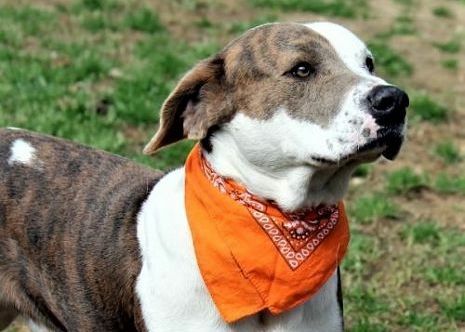 Chase is a very handsome & powerful male Basset/Pit looking mix that may have short legs, but he is around 60-70 lbs. He is a sweet boy that likes a little play, a lot of food and a human to love. Chase will be a dog who needs to meet a potential buddy (female dogs please) and we know he is NOT good with cats or small dogs. For children would recommend teens and older. The adoption fees are $100 for dogs & $50 for cats under one-year-old; cats over one-year-old can be adopted by approved adopters for a fee of their choosing. This adoption fee completely covers the mandatory spay or neuter, basic immunizations, de-worming, microchip, heartworm check for dogs, rabies vaccination if old enough, free health exam with your participating veterinarian. To meet all the great pets at the shelter come to 255 Central Plank Road, Wetumpka, AL, 36092, go to the website at http://www.elmorehumane.org email them at hselco@bellsouth.net or give them a call at (334)567-3377. The Shelter is open for adoptions Mon–Fri 10-5 and Sat 9-3.